We’re back, and we’re doing another top three countdown. 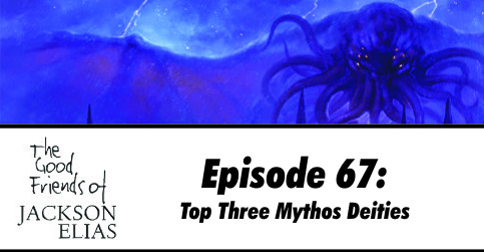 This is a spiritual follow-up to episode 62’s look at our favourite Lovecraftian monsters, only this time we’ve set our sights a bit higher. We each champion our three favourite Mythos deities, giving some background on each, followed by some unusual ways to use them in your Call of Cthulhu games. Although no matter how you use them, the result will be much the same. 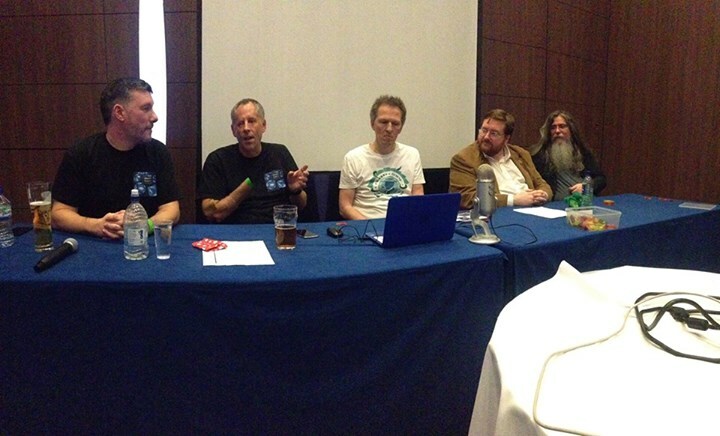 We’re also fresh back from Dragonmeet, where we had our live showdown against our rival podcasters from the Smart Party about whether there is too much Cthulhu in gaming. Paul is busy establishing whether the recording is usable; we had to rely on sharing our trusty Yeti amongst five of us, as well as everyone in the audience who asked questions (or simply threw fish at us). If the edited and sound-balanced recording sounds better than an experiment in electronic voice phenomena, we will release it either as part of an upcoming episode or as a standalone special. Speaking of microphones, another burst of generosity from our wonderful Patreon backers has pushed us over our target for buying some professional recording equipment. Thank you to everyone who has made this possible! Paul and I plan to go shopping next week, and assuming we can get the hang of the new kit quickly, you should notice a major improvement in sound quality soon. We are also hard at work developing the next batch of backer rewards, based on suggestions from patrons who joined us for a chat last week. There was less barking like a seal than I was lead to believe. Damn. I knew I forgot something. I never attempted to catch one in my teeth either! I’m pretty sure Matt did. He didn’t actually catch any though. Thanks for that, Roger! I bought my copy of Deities and Demigods just after TSR had to remove the good bits, so I’ve never seen these entries for myself.